Reflections - Me and my writings! : Real life or Reel life? Going to movies as a family? Should we look at the entertainment factor? Do we want to see emotional and message giving movies? 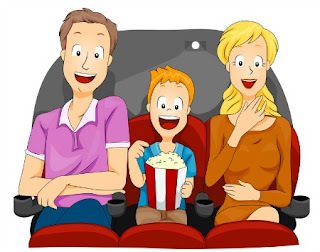 I feel movie time with families should be fun and not something which leaves us sad when we come out. Yesterday my daughter finished her final exams and we decided to go for a movie. I heard from everybody that Kapoor and sons is a family movie and as we cannot take our kids to all Bollywood movies these days, I wanted to go as a family to watch it. My elder one was reluctant to go as she finds Bollywood movies boring. I told her that it is supposed to be a good one. The movie got me thinking, "Why do we go to watch a movie?"